Published 2015-03-17 in the category Raspberry Pi. 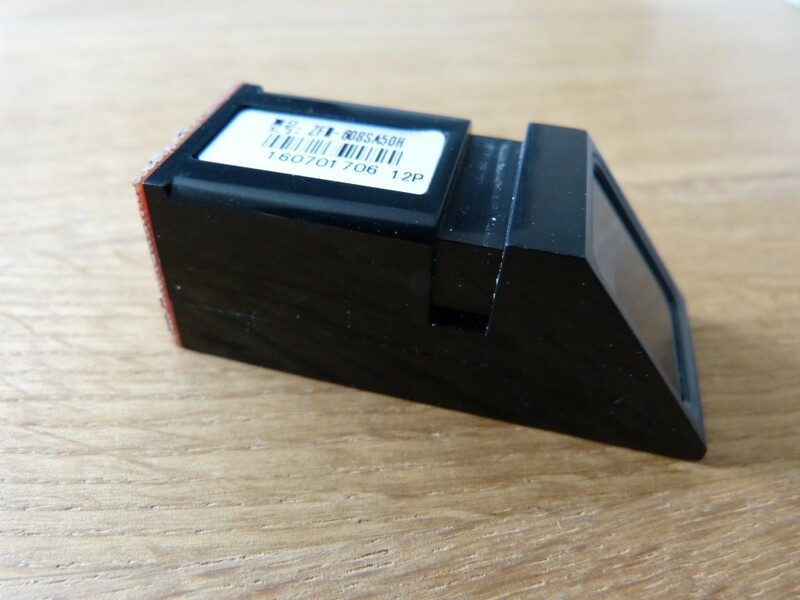 In university my team and me got the challenge to find a cheap solution to use a fingerprint sensor native on the Raspberry Pi to include this in a bigger project. After some research we found a low-priced hardware module that is rather known in the Arduino environment. Adafruit the creator of the video offers the sensor hardware and additionally provides some documentation (not really much) and an Arduino sketch on Github. The Arduino sketch demonstrates the basic functionality of the sensor. Our plan was to create a possibility to use the sensor hardware really easy on the Raspberry Pi and later generally on Linux. The Arduino sketch does not run on the Raspberry Pi, so we had to create something new. The Raspberry Pi already has 2 GPIO pins for UART, so we are able to connect the sensor directly to the Raspberry Pi (according to the datasheet, the logic high level of the sensor (3,3V) is not to high for the mini computer). 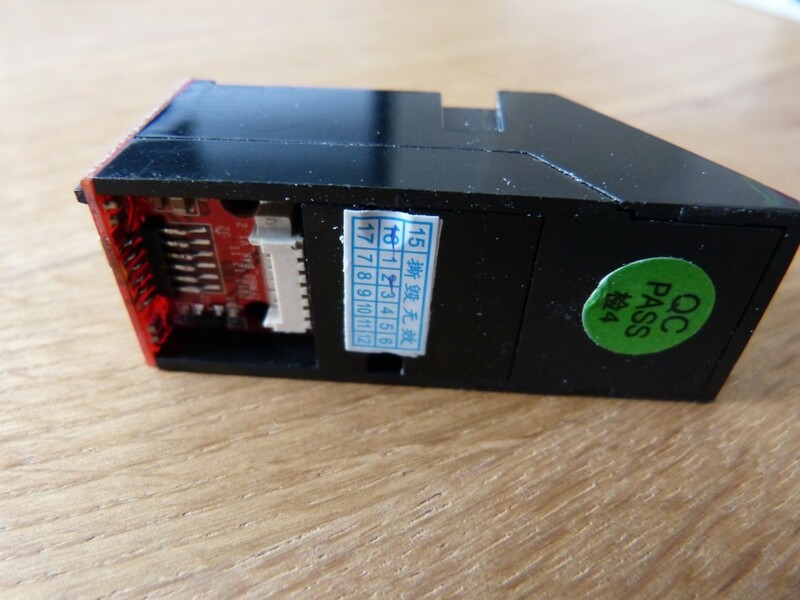 But, it is also possible to use an USB-TTL converting board (e.g with a CP2102 chip) that only cost a few Euros and connects the sensor wires comfortable with the USB of any computer (in our case the Raspberry Pi). We connect the power supply (red wire) to the 5V pin of the converter, the ground (black wire) to ground/GND pin. The transceiver data wire (green wire) of the sensor to the TX pin of the converter and the receiver data wire (white wire) to the RX pin. 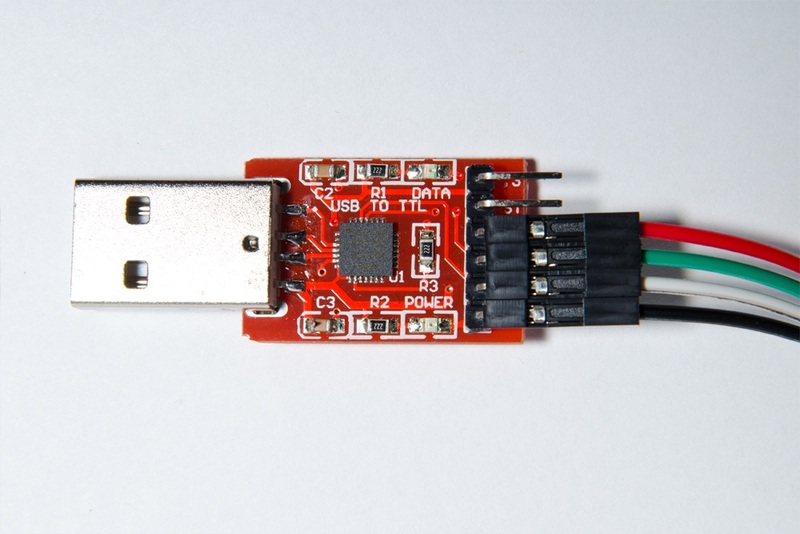 Note: The data wires of some USB-TTL converting boards (specifically the USB-wire versions) must be connected the other way round. If no communication happen, simply try to exchange the data wires. Now we have to prepare the software stuff. Now your have to restart your system. The sensor has not been recognized by the system. Maybe it is not connected correctly (check the data wires) or the device is available via an other path than "/dev/ttyUSB0". If everything works, you are able to use all existing features provided by sensor hardware: To enroll a finger (read and save it) you can use the "example_enroll.py" program. To check if a finger is already enrolled, you can use "example_search.py". To delete a finger you use the "example_delete.py" program. Here you can find some useful information and documentation additionally. Small and cheap USB-TTL converter board (good for testing proposes). Practical, robust USB wire with integrated converter. 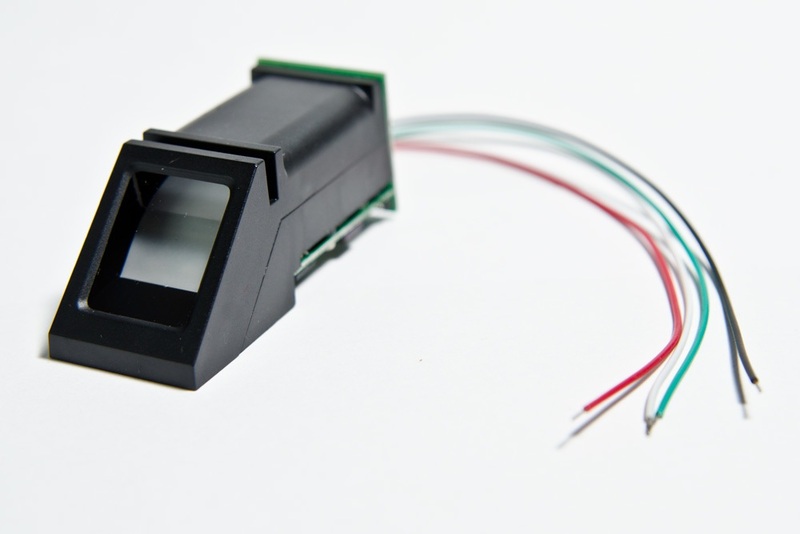 If you choose the first option, you should additionally buy some male-male jumper wires to connect the devices quick and simple. The jumper wires are available in 40pcs/pack for about 5€. But if you have an old computer, I suggest to recycle the old power/reset switch jumper cables or LED cables. General note: If possible, do not choose delivery from Asia to avoid long delivery time. #2 I want to store the fingerprint templates outside of the sensor (e.g. in a database or on the Raspberry Pi). Is that possible? It is possible to download (export) and upload (import) fingerprint templates. But for recognition the sensor needs the templates on the sensor. So if you want to sync the templates between multiple sensors, it is possible. But if you want to store the templates outside of the sensor and use it for recognition, it is not possible. #3 I'm a absolute beginner. Can you write a script for me? Often i got impertinent emails from people: They want me to write their dream project based on nothing (no concept, no information, no clue). And of course it is urgent as well. I like to provide the library for the sensor and some example scripts and if anybody unexperienced ask me a question that is not answered here, of course i will help. But i'm not a social service, writing software without payment for impertinent acting people. #4 I have a problem with the library, can you help me? Often i got emails without any error messages or context. Sorry, but without information we are not able to help. I added the missing image scanning method to the library. This method provides the possibility to download the images of a scanned finger to your host computer. You can check out the example program "example_downloadimage.py" to test this nice feature. The image will be saved as a grayscale bitmap. Furthermore the library can be installed fully automatically via the PM Codeworks repository. We updated the library according to the Python module conventions of Debian. Furthermore we updated the code to our current knowledge and experiences. We updated the library to our newest programming conventions. Furthermore we added a license file. Many thanks to Danylo Esterman (see comments of the german Post) for the hint that the sensors logic high level is 3,3V instead of 5V. Therefore an USB-TTL converting board is not required to use the sensor with the Raspberry Pi. Many thanks to David Gilson (see comments) for his implementation of the method "uploadCharacteristics" which finally allows you to upload fingerprint characteristics you downloaded before. Furthermore thanks to Danylo Esterman for his improvement idea of the method "downloadImage" to get a better quality Bitmap image. From this day on, the project will managed fully transparent via Github instead on my private Mercurial server. Changes or feature requests can be done directly via Github. In this new version, i fixed the wrong count of maximum storable templates on the ZFM-20 (the A model stores 162 exactly). The wrong previous value caused some trouble with the new ZFM-60 model (thanks to Florian Scharf for this hint). Additionally Florian got the ZFM-60 sensor working with the Raspberry Pi B+ and the Raspberry Pi 3 by editing the file /boot/cmdline.txt. After saving the file and restart, the sensor should work properly. I added a FAQ for the most common problems with the sensor/library.